On all that we can see. 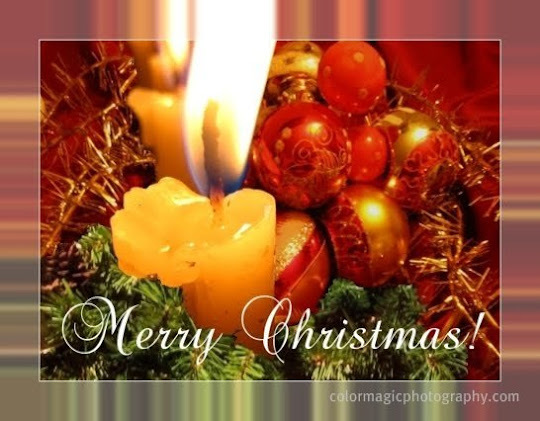 I wish all of you a blessed and merry Christmas! If you still have free space for decorations on your blog, like the ones I have here (on the left and right side), there are many beautiful free icons at this post. You will find there instructions for installation too. This list is closed. Click here to see the list. Maia I don't think I have anything recent that I can add to the meme this week either as we have been under the snow for over a month now. I just wanted to pop over and wish you a Blessed Christmas and a Happy New Year. Feliz Natal pra você e toda sua família!Amei o cartão de natal de sua postagem! Have a wonderful holiday. Love the reflective frame thing around that lovely image. The wreath, the snow, the Santa and the tree...they are just but glossy sidelight to the real Christ who was born in simple but loving and special event called Christmas. There. I raised my voice Maia! Rejoice, the King has come!